If you have been prescribed a sublingual spray but you’re not quite sure how to use it, you’re in the right place. 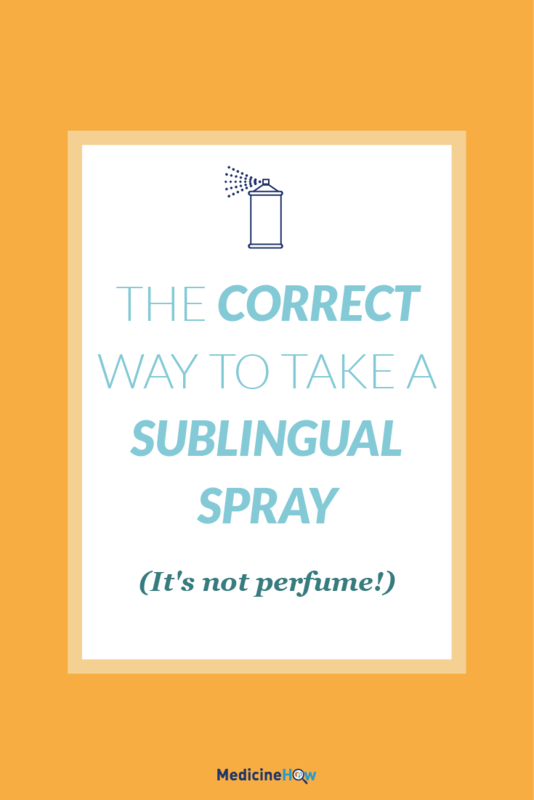 Here we’re going to cover what a sublingual spray is, why you might need to use it and how you can use the spray sublingually for it to work properly. Are you ready? 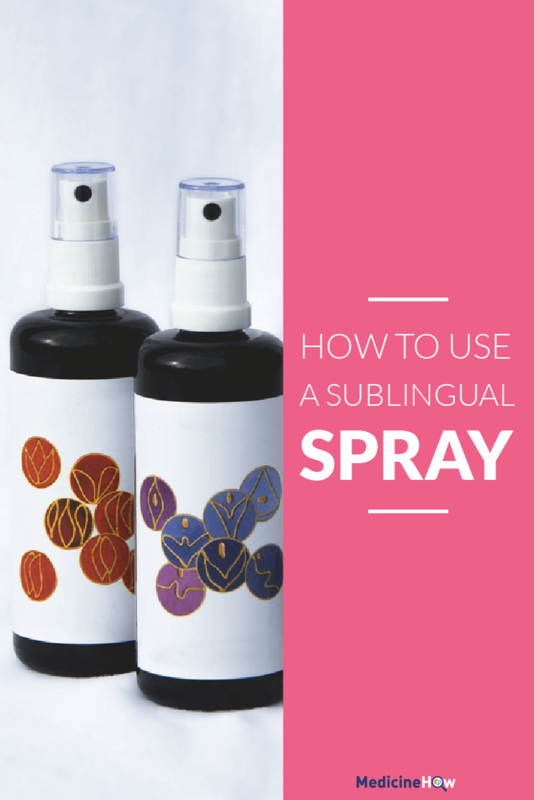 What is a sublingual spray? A sublingual spray is a medication that contains an active ingredient, suspended in liquid in a spray bottle for administration. This simply means that the medication is inside the liquid that comes out of the spray bottle. It can be a strange way to take a medication and you may be confused about what to do with the spray. “Sublingual” means under the tongue. So rather than swallowing the liquid from the spray, you spray the medication underneath your tongue, where it can be absorbed through the thin layer of skin under your tongue and into your bloodstream. Why do we need a spray? Most tablets that you take need to be swallowed – why can’t you just do the same with the medication in a sublingual spray? Each drug is dissolved in the stomach, absorbed into the bloodstream and metabolized in the liver to a different extent. Some drugs do this very well so that almost all of it gets into the bloodstream to work its effect (known as good bioavailability). Other drugs are not dissolved or absorbed very well, or completely metabolized in the liver, so that the drug can’t work as well (known as poor bioavailability). For drugs that have poor bioavailability, simply swallowing a pill not very effective. Not much of the drug that you swallow actually makes it into the bloodstream to move around the body and work its charm. Instead, we need to find another way to deliver the drug into the bloodstream. This is where the sublingual spray comes in. Because the medication is suspended in a liquid and sprayed under the tongue, it doesn’t need to dissolve, be absorbed from the stomach and pass through the liver. Instead, the drug can be absorbed directly into your bloodstream – without the possibility of being metabolized straight away in your liver – through the thin skin underneath your tongue. This has a relatively quick effect because it goes straight into your bloodstream and is safe than other similar methods, like an injection. Sit upright and swallow any saliva in your mouth before using a sublingual spray. Open your mouth and lift your tongue to the roof of your mouth. Direct the nozzle of the spray towards the underneath your tongue at a 45-degree angle, resting the bottle on your teeth for support, if needed. 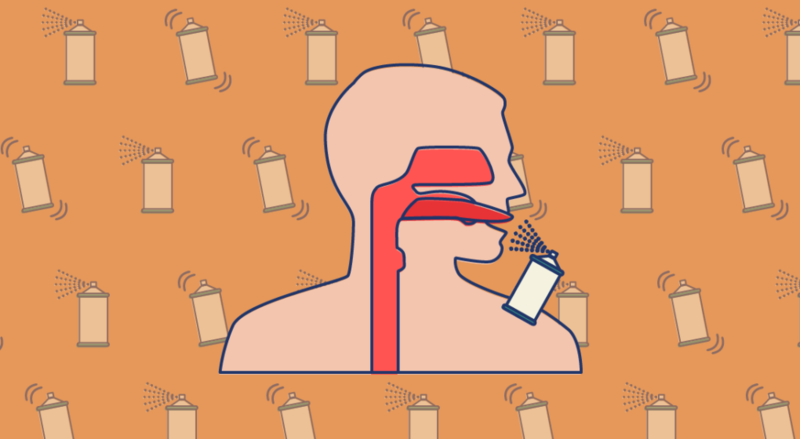 Squeeze the spray bottle to release the suspended medication toward the underneath of your tongue. Hold the medicine under your tongue for 30-60 seconds without swallowing to allow it to be absorbed. 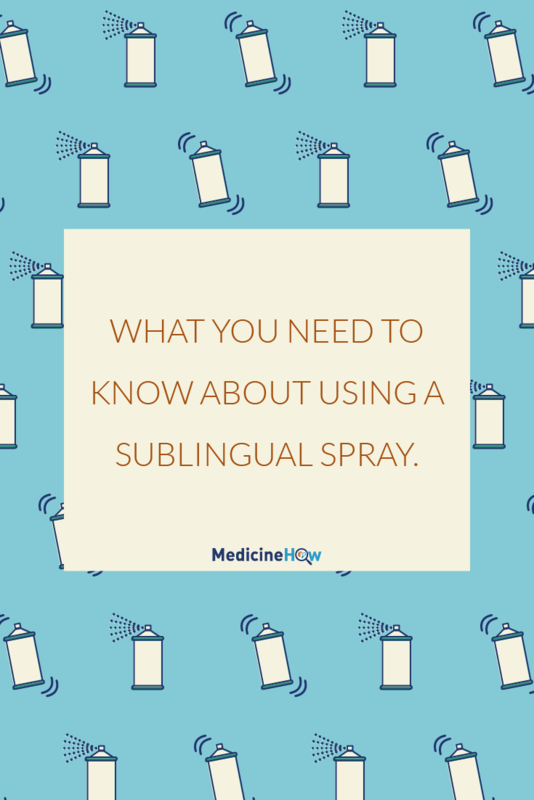 If you have been prescribed a sublingual spray to take, here are a few extra notes that you might find useful in how to use them correctly. Avoid eating or drinking while waiting for the tablet to dissolve, as this may cause you to swallow some of the active ingredient so that it cannot work as effectively. Avoid smoking for at least one hour before using a sublingual spray, as this can tighten the tiny blood vessels in your mouth, making it more difficult for them to absorb the drug underneath your tongue. If you have any other questions about sublingual sprays and how to use them, just let me know, and I will try to help. You can leave a comment below or contact me via email from the contact tab at the top of this page.